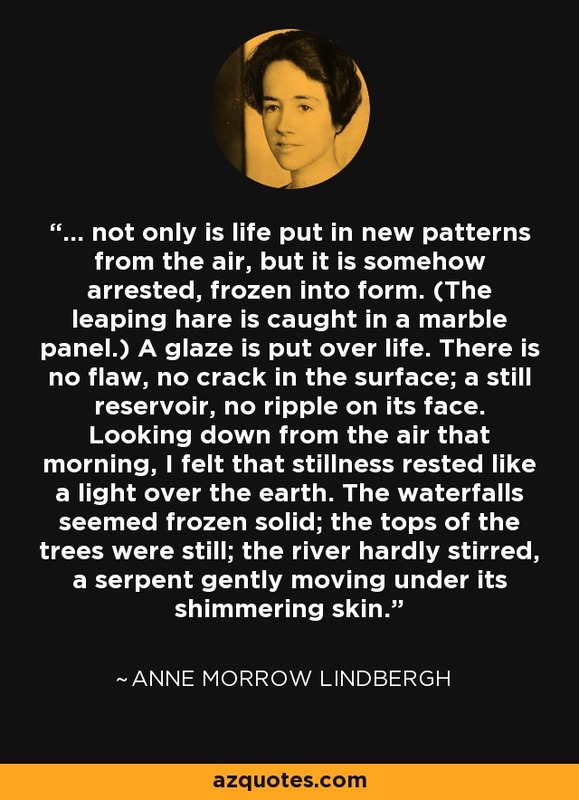 ... not only is life put in new patterns from the air, but it is somehow arrested, frozen into form. (The leaping hare is caught in a marble panel.) A glaze is put over life. There is no flaw, no crack in the surface; a still reservoir, no ripple on its face. Looking down from the air that morning, I felt that stillness rested like a light over the earth. The waterfalls seemed frozen solid; the tops of the trees were still; the river hardly stirred, a serpent gently moving under its shimmering skin.